at convergence and removal areas of pipelines and ETL. damage of electrical equipment connected to the pipeline. 2. In case of ETL damage the pipeline may be directly under voltage of several thousand volts. 3. 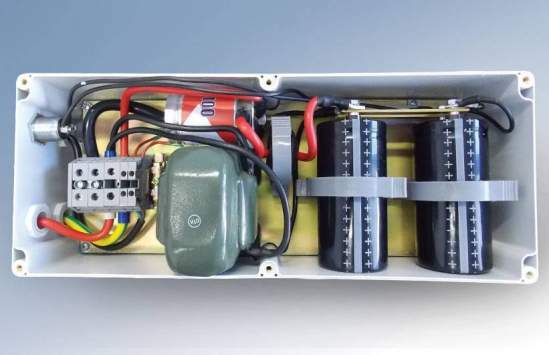 ETLs are potentially dangerous in terms of atmospheric overvoltage (lightning) which requires the use of appropriate pipeline protection devices (lightning protection). 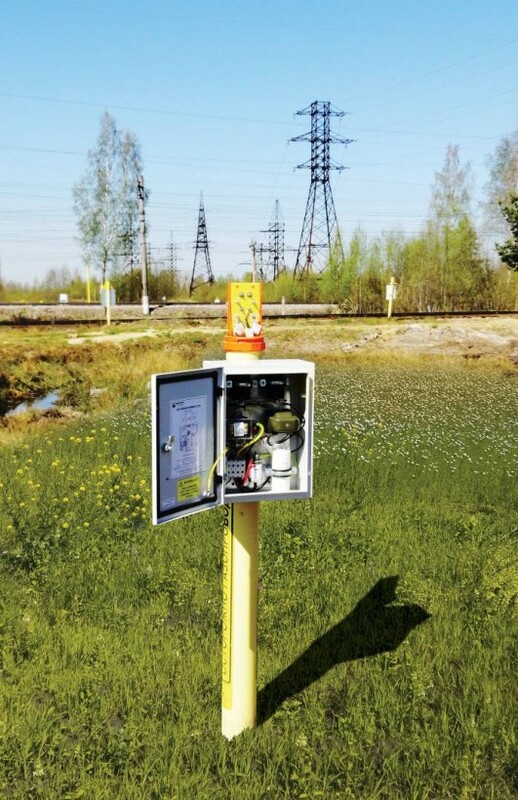 To reduce the impact of electrical transmission line a device for AC and DC pipeline protection (ICPD) is used. completed with lightning protection device. The ICPD consists of a post, an AC / DC draining unit, a terminal block and a grounding device. A post may be made of PVC or metal as per the Client’s request. The post is equipped with an anchor device, which prevents a test station from free taking out the soil. 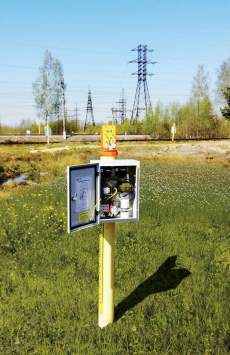 a frequency filter (a standard version with 1100 Hz frequency); to prevent AC leakage of a fixed frequency when using the electrometric equipment at the pipeline. 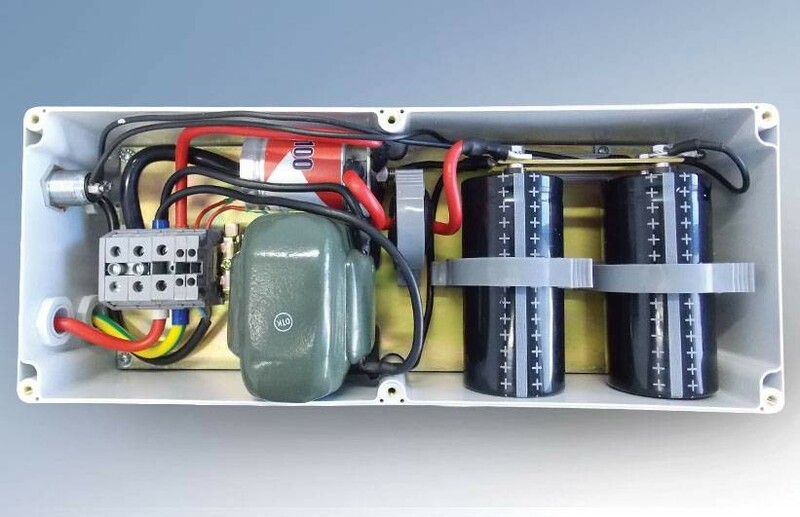 A grounding device may consist of horizontal ground conductors, vertical ground conductors or their combination. 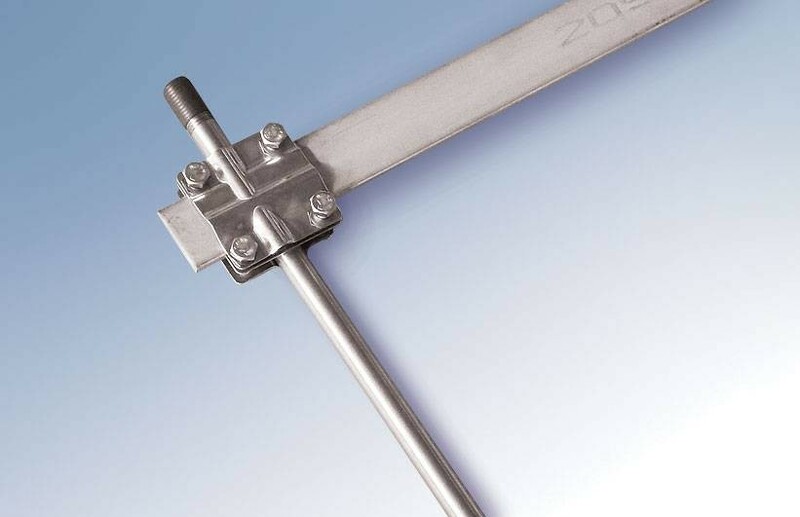 Horizontal and vertical ground conductors represented by sections of stainless steel or zinc plated steel connected to each other. Quantity of ground conductors as well as its sections number are defined by a pipeline system project. As an option, ICPDs are produced with possibility to drain AC / DC. In this case, the maximum and minimum limits of permissible DC voltage are set.